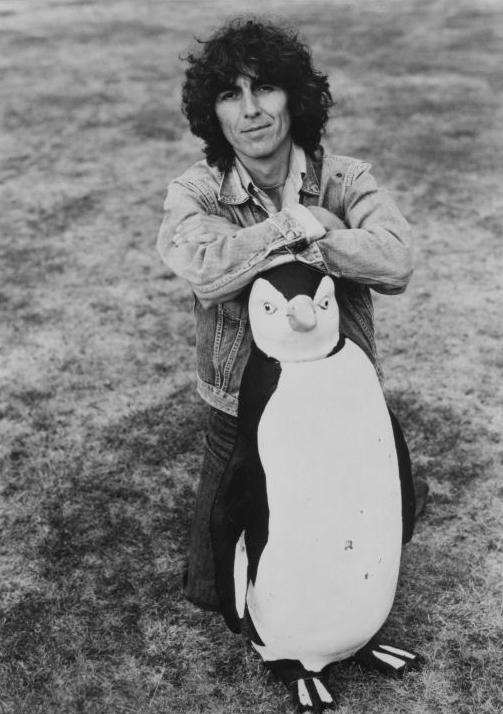 This was one of a series of photos of George used to promote the "Thirty-Three & 1/3" album in 1976. I have an 8x10" glossy photo from this same series -- a head-and-shoulders portrait of George -- that he inscribed and signed for me in December 1977. Starting in '76, I'd been corresponding with Muriel Housman -- the secretary at Dark Horse Records in Burbank -- about getting an autograph from George and though it took well over a year, she finally got the photo signed for me when he came into the offices one day. A beautiful dedication and signature in blue ballpoint pen. I obviously still have it after more than 41 years.